I believe most people want to look back at their lives – their existence – and say that they “left their mark”. Evidence of this is all around us…from monuments left by ancient civilizations to graffiti sprayed on a wall. 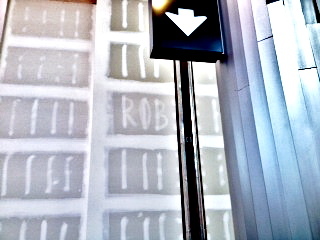 I even saw evidence of this recently at a local mall when looking up an unfinished wall, I noticed that a worker (I assume his name was Rob) felt the need to let others know he’d been there. The senseless shootings at a Colorado theatre this past week also remind us that sadly, evil or illness drive some to leave a legacy of death or destruction. Ultimately, the legacy we all leave behind is not in words or monuments, but in how we treat others and the impact we have on their lives. Previous Why all the work is worth it!